Four reasons why your baby is crying. 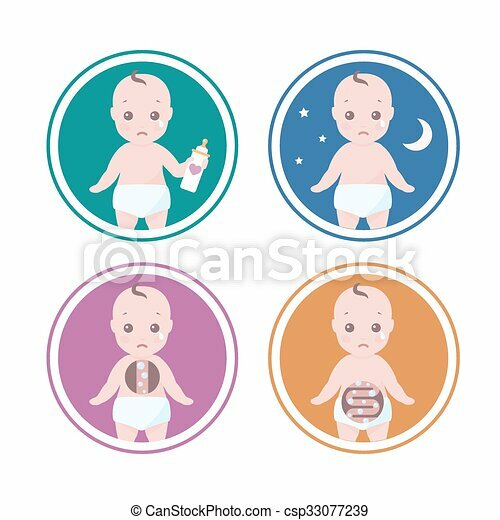 Vector set of four illustrations with reasons why a babies cry like he is hungry, has colic or need sleep. 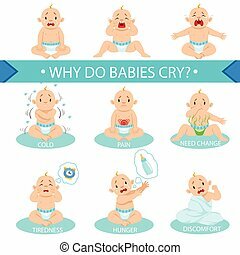 Reasons Baby Boy Is Crying Infographic Poster. Bright Color Vector Banner In Simple Cartoon Style With Isolated Illustrations Set On White Background. 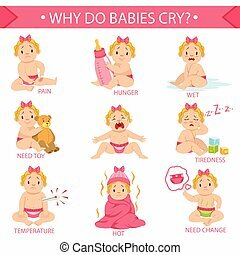 Reasons Baby Girl Is Crying Infographic Poster. Bright Color Vector Banner In Simple Cartoon Style With Isolated Illustrations Set On White Background. Reasons Baby Boy and Girl Is Crying Infographic Poster. Bright Color Vector Banner In Simple Cartoon Style With Isolated Illustrations Set On White Background. Little Baby Girl In Nappy Is Wet And Needs Change, Part Of Reasons Of Infant Being Unhappy And Crying Cartoon Illustration Collection. 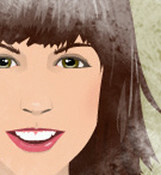 Infancy And Parenthood Info Vector Drawings With Explanations Why Toddler Is Upset. 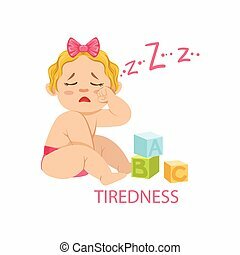 Little Baby Girl In Nappy Is Tired And Needs Sleep, Part Of Reasons Of Infant Being Unhappy And Crying Cartoon Illustration Collection. Infancy And Parenthood Info Vector Drawings With Explanations Why Toddler Is Upset. 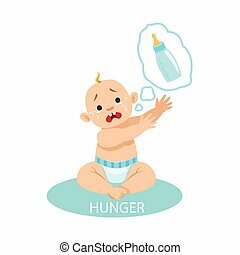 Little Baby Boy In Nappy Is HungryAnd Needs A Bottle,Part Of Reasons Of Infant Being Unhappy And Crying Cartoon Illustration Collection. Infancy And Parenthood Info Vector Drawings With Explanations Why Toddler Is Upset. 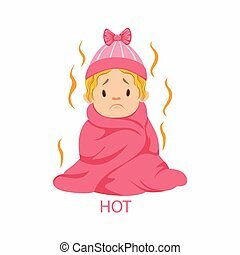 Little Baby Girl In Hat And Blanket Is Too Hot, Part Of Reasons Of Infant Being Unhappy And Crying Cartoon Illustration Collection. Infancy And Parenthood Info Vector Drawings With Explanations Why Toddler Is Upset. 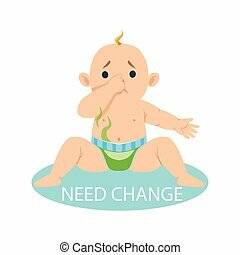 Little Baby Boy In Nappy Needs Change, Part Of Reasons Of Infant Being Unhappy And Crying Cartoon Illustration Collection. Infancy And Parenthood Info Vector Drawings With Explanations Why Toddler Is Upset. 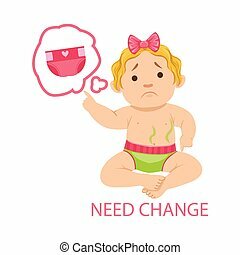 Little Baby Girl In Dirty Nappy Needs Change, Part Of Reasons Of Infant Being Unhappy And Crying Cartoon Illustration Collection. Infancy And Parenthood Info Vector Drawings With Explanations Why Toddler Is Upset. 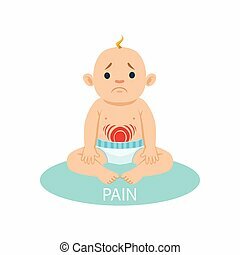 Little Baby Boy In Nappy Having Belly Pain, Part Of Reasons Of Infant Being Unhappy And Crying Cartoon Illustration Collection. Infancy And Parenthood Info Vector Drawings With Explanations Why Toddler Is Upset. 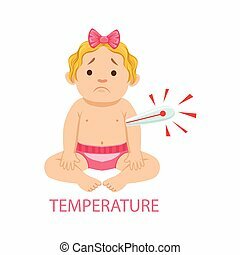 Little Baby Girl In Nappy With Thermometer Has Fever, Part Of Reasons Of Infant Being Unhappy And Crying Cartoon Illustration Collection. Infancy And Parenthood Info Vector Drawings With Explanations Why Toddler Is Upset. 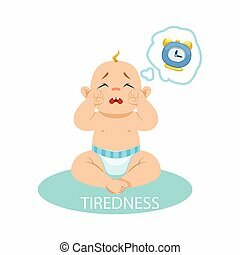 Little Baby Boy In Nappy Tired And Wants To Sleep, Part Of Reasons Of Infant Being Unhappy And Crying Cartoon Illustration Collection. Infancy And Parenthood Info Vector Drawings With Explanations Why Toddler Is Upset. 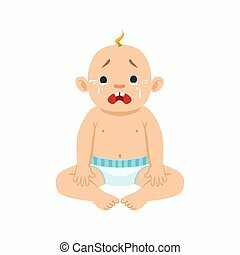 Little Baby Boy Sitting In Nappy Crying With Eyes Full Of Tears, Part Of Reasons Of Infant Being Unhappy Cartoon Illustration Collection. Infancy And Parenthood Info Vector Drawings With Explanations Why Toddler Is Upset. 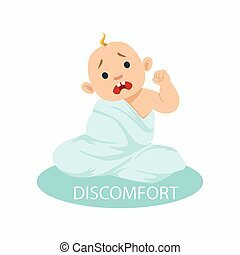 Little Baby Boy In Nappy Tangled In Blanket Feeling Discomfort, Part Of Reasons Of Infant Being Unhappy And Crying Cartoon Illustration Collection. Infancy And Parenthood Info Vector Drawings With Explanations Why Toddler Is Upset. 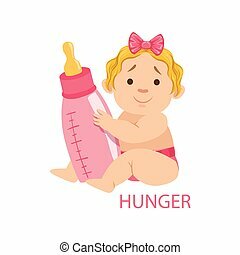 Little Baby Girl In Nappy Holding A Bottle Being Hungry, Part Of Reasons Of Infant Being Unhappy And Crying Cartoon Illustration Collection. Infancy And Parenthood Info Vector Drawings With Explanations Why Toddler Is Upset.